Use a Loan Calculator When SELLING a Car! When selling a car, you might not think that a used car payment calculator / car payment estimator would come in handy but it actually can! One sort of “trick” that car dealers use is the monthly payment. There are even dealers I know of that take a weekly payment! What this does is make the car/vehicle seem cheaper than it really is by breaking the cost of it into chunks. Of course, people pay interest to a bank but interest rates are really low right now, so taking a loan out on a car can be a good deal. 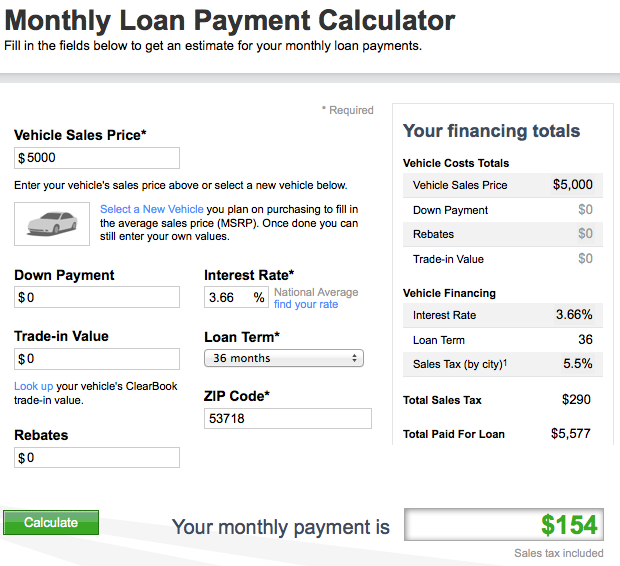 How you can use this trick is by figuring out what the monthly payment would be on the car you’re selling. 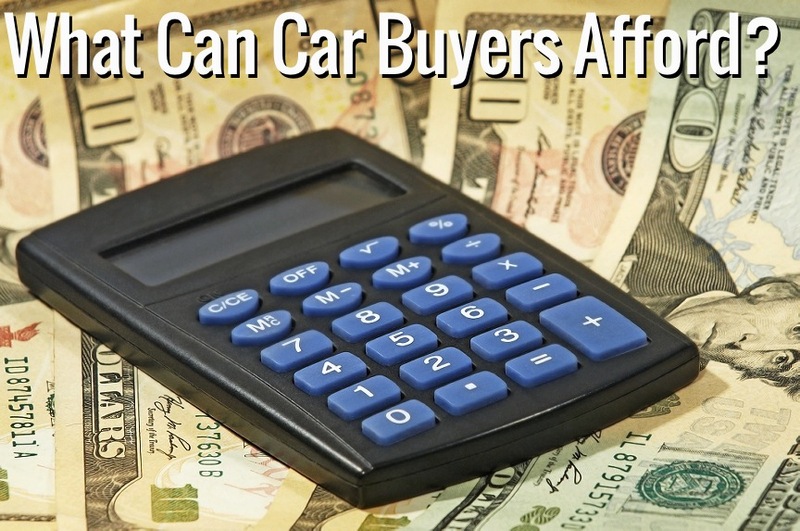 When buyers come by, if they’re having trouble deciding, you can say that if they finance the car, then the monthly payment will only be “X” amount of dollars. It’s simple. What you want to figure out is what the monthly payment would be for the car your selling for 3, 4 and 5 years – depending on the age of the car and for how much you’re selling it for. If the car is relatively cheap, then giving someone a loan payment for 5 years out might sound kind of silly and a bank probably wouldn’t even give a loan like that, so don’t do that. Here’s an example using the Yahoo one… let’s say you’re selling your car for $5000 (asking price). You might get $4500-4900 for it in this case, so let’s make sure we know the high and low numbers. The Vehicle’s Sale Price would be $5000. Put the Interest Rate in using whatever it says because that’s probably about what it is. Let’s first make the Loan Term be 36 months (3 years). That’s just $154! Do the same thing for $4500. That comes to $139… not much difference. With this example, I wouldn’t even check the 4 year amount since a bank might not loan this much money for that long but just for fun, it comes to $118 and $106. What this does is make your a more knowledgeable salesperson even though it’s just you selling your car on your own. 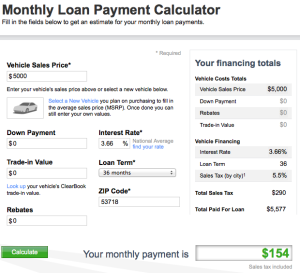 You now know that if someone were to finance the car you’re selling, they would pay between $140 and $150 or so a month. If they’re on the fence and think that the car is too much for them, then you can say you figured out the payment for 3 years and it’s about $152. They might not think that’s too bad and then take the deal – sure, they would have to first go to a bank and get financing but money is money, right! You also now know that dropping the price by $500 only comes out to about $10 a month. If they try to come down on price, you can mention that it’s only a $10 a month difference and if they have to go get a loan, you’ll have to wait a little – so the difference isn’t that much and you’re doing them a favor being a patient seller. The point of this article is just to show you how knowledge is power. The more you know about what situation your buyer may be in, the better you can help them. 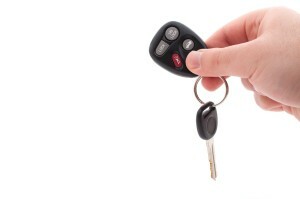 Knowing their situation helps put you in control of the final sale of the car / the haggling. Try to think of other ways that will help you in the car selling game. The better you’re prepared, the better the whole thing will go. I hope this article helped. If you have any comments, questions or other things to add, please use the comments area below. Remember to share this article with your friends, too! This entry was posted in Car Selling Tips and tagged car payment estimator, loan calculator, used car loan calculators online:, used car loan payment calculator by TC. Bookmark the permalink.